Give your commercial construction projects the beauty and quality they deserve so that they look great for generations. 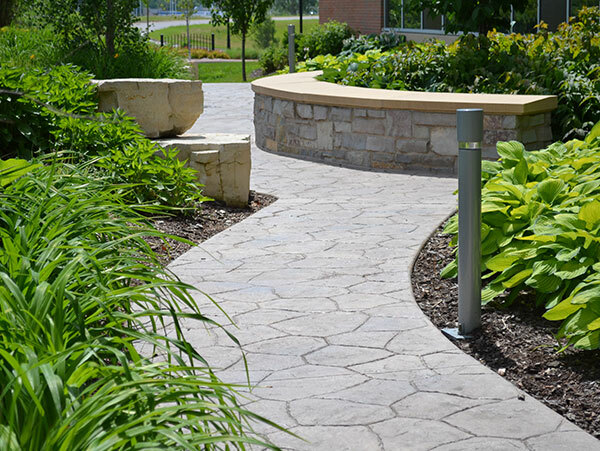 North Country Concrete specializes in commercial concrete placement of curb and gutter, sidewalk, steps, pavement, walls, driveways and colored stamped concrete. We are a union contractor that proudly serves the Minneapolis / St Paul metropolitan area, as well as its outlying communities and western Wisconsin, Iowa, and North Dakota. See what the North Country Concrete difference is. This gallery will take you on a journey through several of our recent projects.